What Are the Benefits of a Yogurt Mask? 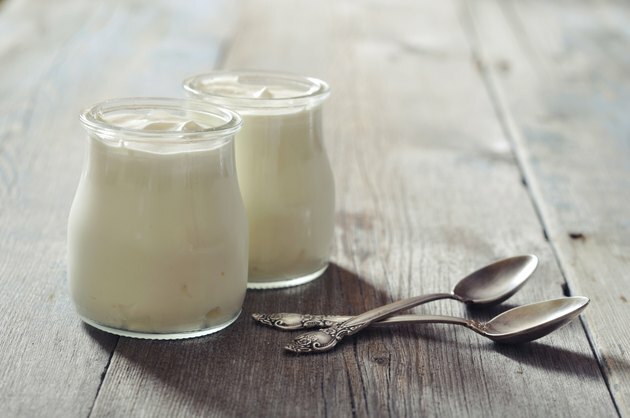 Yogurt is a nutritious food that aids in digestion and provides minerals such as calcium and zinc for strong bones, teeth and the immune system. When topically applied to the skin, yogurt also has wide-ranging benefits. Skip costly commercial products full of chemicals and preservatives and use plain yogurt with live, active cultures to create a creamy, all-natural facial mask you can use several times a week for healthy, glowing skin. Yogurt contains lactic acid, an alpha hydroxy acid that helps to smooth rough, dry skin and prevent premature aging such as fine lines, wrinkles and age spots. Lactic acid helps to dissolve dead skin that accumulates in the pores, causing a dull and cakey appearance and aids in closing large pores, making skin look younger. Create an anti-aging and exfoliating treatment by applying a thick layer of plain, whole milk yogurt to the skin and allowing it to set for 20 minutes. Rinse with lukewarm water. 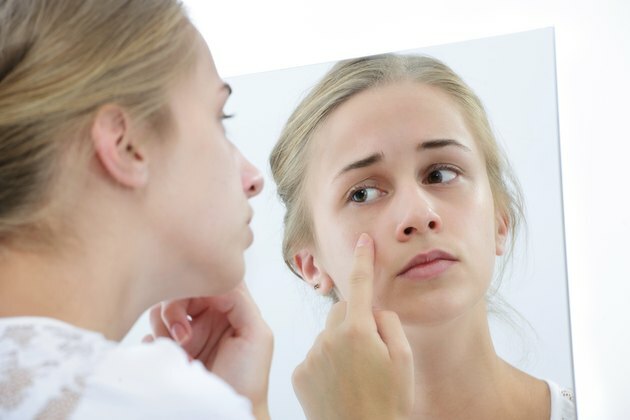 Acne-prone skin may benefit from yogurt, with its anti-bacterial and anti-fungal properties. It is also rich in zinc, which is commonly known to aid in the healing of acne blemishes. Yogurt naturally kills impurities that lead to breakouts, keeping the skin fresh and clean. For an anti-acne facial treatment, rub plain, skim milk yogurt thoroughly into blemishes and blemish-prone areas. Leave on the face for 30 minutes and rinse with lukewarm water. Yogurt has a mild bleaching effect on the skin when used over time. Skin that is blotchy and damaged due to environmental factors, such as too much sun exposure, can achieve a more even skin tone with a yogurt mask. This is also an excellent and gentle treatment for age spots. Any type of plain yogurt (skim to whole) works for skin discoloration. 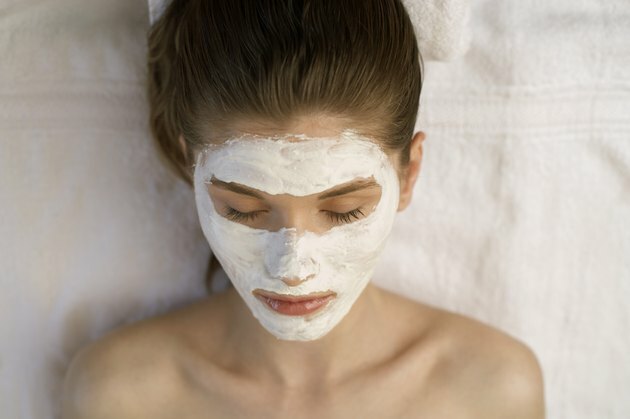 Make a tone-evening mask by rubbing a thin layer of plain yogurt into the skin. Leave on for 40 minutes and rinse well with lukewarm water.